I will probably get all kinds of flak for this, but we don’t do Santa. I just never believed in Santa growing up, and I’d much rather focus on real things for my favorite season. I’m not opposed to having fun with it and recognizing it as a sweet tradition, knowing that while the magic is fun, it’s also pretend. I feel zero desire to actually try to make my children believe the jolly man is real. Instead, I love taking the advent season to take time each day to reflect on my Savior. I have this terrible habit of trying to do too much and staying up too late and being grumpy with my children and then wanting to lay around and do nothing all day. I feel pressured to come up with ideas, but then am too tired to execute them. I forget what ACTUALLY most important about this season. Last year was the first time we did an advent calender and it was, by far, my favorite Christmas tradition. There are lots of different calendars out there, but I wanted to incorporate several together. It was important to me to have some short scriptures, a song, a book, a simple (and toddler-friendly) act of service, and maybe an easy craft each day. And treats, of course (some special ones, hot chocolate, s’mores in our fireplace, etc.). Last year, I had an idea of all these traditions. This year, I have my giant master list of daily activities, as well as special outings and activities (performances, parties, sing alongs, etc.). 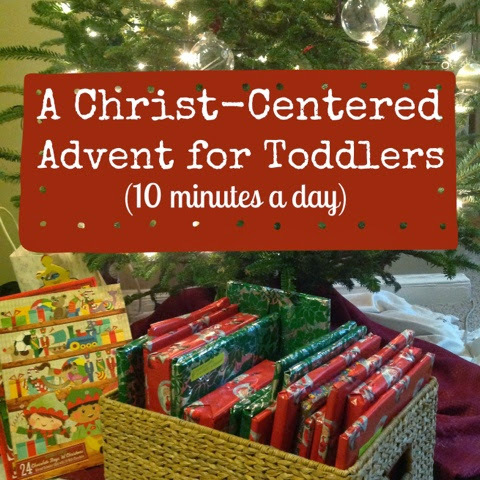 I am so excited for all those things, but mostly, I’m thrilled for the 10 or so minutes we’ll spend as a family each night reflecting on our Savior. It was so lovely having this leading up to Christmas Day last year. There are also activities, but to me, those are less important than the special “Jesus time” in the evening. There’s also a talk from a Church leader for Dan and I to read together after the kids are in bed. I print out the whole list, cut it into strips, and put the strip for each day in the appropriate bag. I just really love it, and hope it helps someone else organize their Christmas reflection, too. Here‘s the link to my master doc! I am so glad that I am not the only person who doesn't love Santa. I remember asking my mom when I was little if Santa got his information on us from Jesus and Heavenly Father. My mom said no, so I assumed her worked with Satan. I know, I was a weird child. When I found out that he wasn't real, when I was 6ish, after pestering my others about why Santa doesn't bring toys and food to people starving in Somalia (my school did drives to help), I felt lied to an cheated. My husband still wants to do Santa with our kids but who knows. Maybe they'll be strange children like their mother. We don't do Santa either. You are not alone! We are very seriously considering not doing Santa, or doing some watered-down modified version of him that is very different than the Santa we both had growing up. These are great ideas! No Santa in our home. Each to their own, but I feel it's a worldly distraction from Christ. Same deal with Easter bunny. No-go. I am so happy to hear that I am not the only one that tries to stay up too late doing too many things just to be grumpy the next day with no ambition. Love this post – totally relatable! Thanks! We do Saint Nicholas, along with the other great Saints of December but no Santa. I don't see the link to the master doc? Ha! Nevermind. The Here's wasn't blue or underlined, but I figured it out.